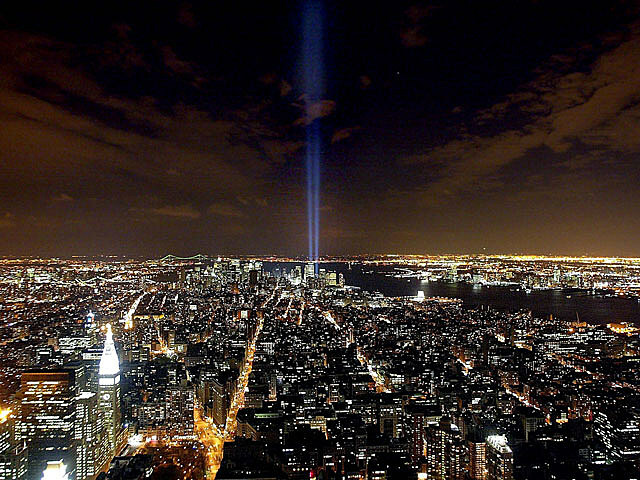 After the terrorist attacks 10 years ago on September 11, the country and world came together to grieve, comfort and find hope. After the collapse of the Twin Towers, artists turned to music to express the array of emotions provoked by the attacks. Artists from all genres — from Bruce Springsteen to Aaron Tippin to The Black Eyed Peas — tackled the event in song. Below are several of the songs written about the attacks and in honor of the victims. Bruce Springsteen’s ‘The Rising’ was written after the September 11 terrorist attacks and was released in 2002. It won the Grammy for Best Rock Song and Best Male Rock Vocal Performance and was nominated for Song of the Year. Rolling Stone named it the 35th best song of the decade. ‘Where the Stars and Stripes and the Eagle Fly,’ recorded by Aaron Tippin was released in the wake of the Sept. 11 attacks. All proceeds from the single went to the American Red Cross and its relief efforts for the families of the attacks. Mary Chapin Carpenter says she was inspired to write ‘Grand Central Station’ after hearing an interview on the first anniversary of the attacks with a man who was one of the first at the scene after the Twin Towers fell. The man, an iron worker, worked at Ground Zero for days after and said he would go to Grand Central Station at the end of each day so that the souls of the victims could follow him. Disturbed released the song ‘Prayer’ in August 2002. Vocalist David Draiman said the song is his conversation with God about both the September 11 attacks and the death of his grandfather. The Black Eyed Peas released ‘Where is the Love?’ as a vague response to the September 11 attacks. “The world needs this song right now,” said will.i.am. of the band’s breakout hit. Well I never, I never thought I’d have to see and watch the world explode.